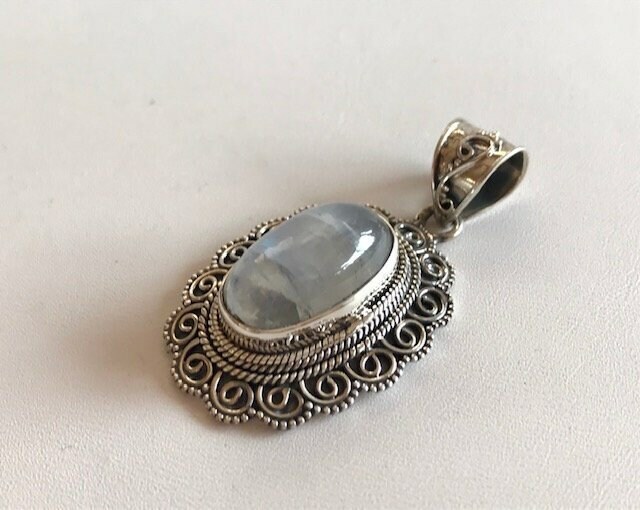 This gorgeous Rainbow Moonstone gemstone pendant is encased in a .925 Bali sterling silver bezel with a beautiful filigree bail. The Moonstone is a smooth, iridescent and beautifully balanced stone in an oval shape that is approximately 3/4" long by 1/2" wide. 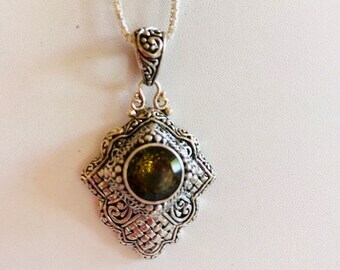 Wear this stunning pendant on your favorite silver chain, as shown (not included). The total length from the top of the bail is 1 7/8" long x 1" at its widest. 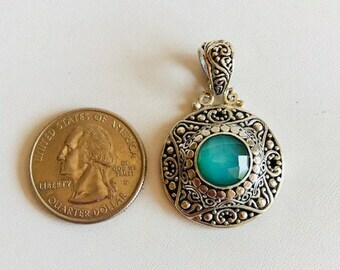 These fabulous Balinese .925 silver pendants are handcrafted in the village of Celuk, Indonesia by artisan silversmiths; the intricate designs are exotic and exquisite. 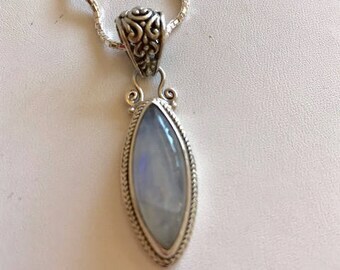 * Moonstone promotes long life and happiness, and is said to attract friendship and loyalty to the wearer. 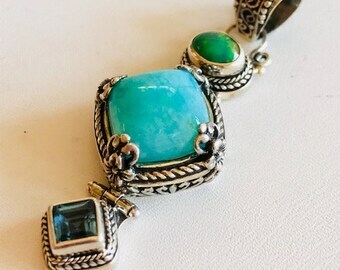 This gemstone is believed to be protective for women and babies and stimulates creativity and self expression while alleviating emotional tension. 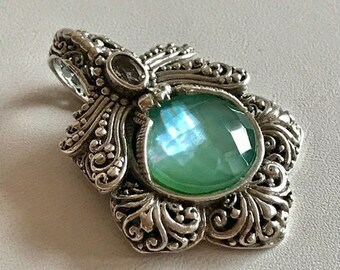 It is also known as the “traveler’s stone”, helping to protect one from the troubles of traveling.